This is a replacement radiator fan shroud for all AMC V8's with the original style Brass & Copper Radiator (will not fit Aluminum Radiators). This is constructed from aluminum so they won't break or crack like the originals. These include new fan shroud bumpers. This shroud is installed using the same bolts that secures the radiator to the core support. **These are made to fit original stock radiators, like THESE. This shroud fit with no modifications and will last forever! Love Mine, thanks! This shroud fitted my 1973 Wagoneer without any modifications. Super happy with the results and the looks. Q: What is the diameter of the fan area ?....Or what is the biggest fan I can run with this shroud...? 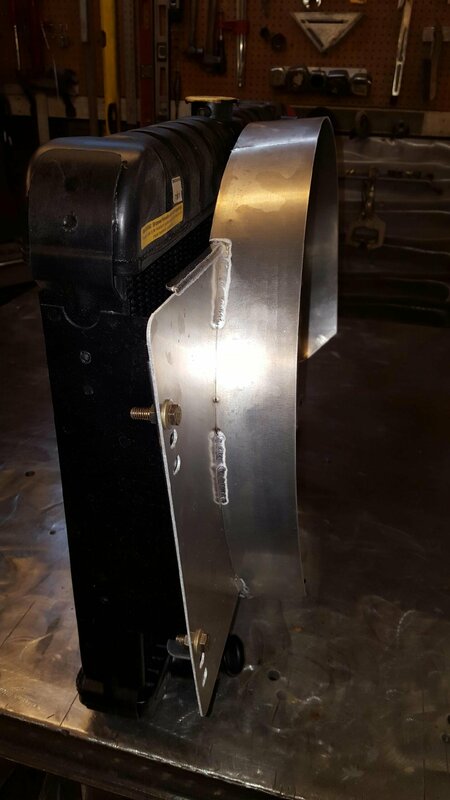 A: You can fit up to the factory 19" mechanical fan with this shroud. Q: Does this fully cover the fan blades or does it leave them exposed on the top like the original? 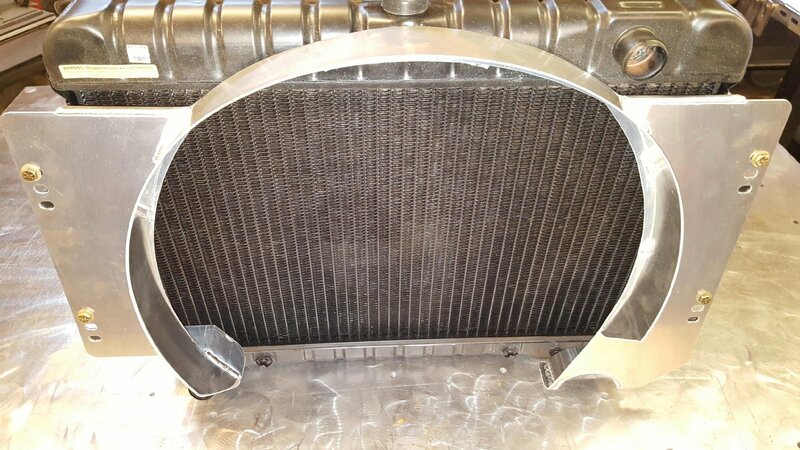 Q: If I get the AL cross flow radiator and electric fan with shroud, would this shroud (or the original) also be required? Or does the electric fan with shroud replace the need for this one? A: The electric fan & shroud kit replaces your stock shroud and mechanical fan (ie: they are no longer necessary). Q: While this work with your aluminum crossflow v8 radiator if i want to keep the mechanical fan? A: No, this is only for use with the stock radiator. We will be developing a mechanical fan shroud for the crossflow radiators later this year. 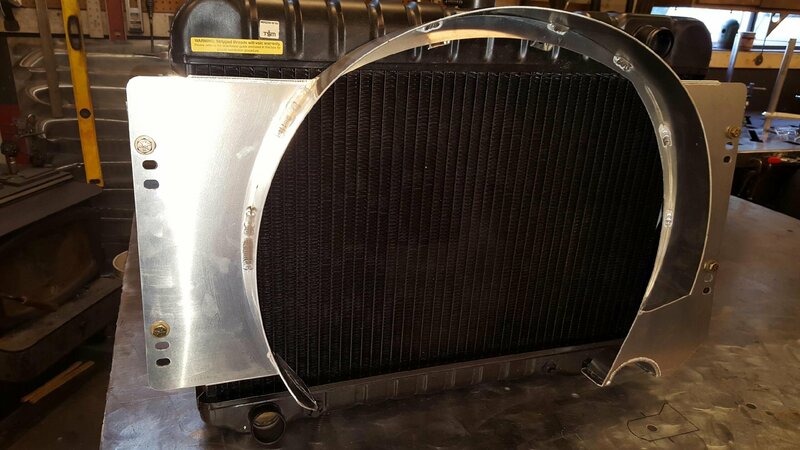 Q: Will this shroud fit my 1973 Wagoneer with stock radiator and fan? If not, can I adjust it, so it will fit? A: It is made to fit 1974 and later models. You may be able to modify it to fit though. A: Yes, ours will fit that application. 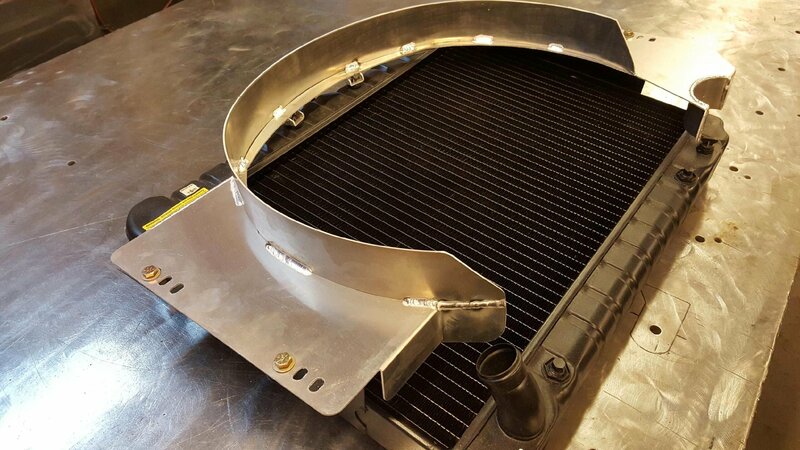 For Aluminum Shrouds to fit our BJ's Off-Road Aluminum V8 Radiator, click HERE!